At Esthetique we will offer you a personalised high level of dental care where you will feel well looked after and cared for. You will experience a dental visit that’s actually FUN! You’ll want to tell your friends and family about the team at Esthetique after you see the welcoming, friendly environment. You don’t have to worry about a thing. Think positive. Think smiles. Think Esthetique..
Esthetique dental care operates state of the art dentistry offering you the latest in clinical dentistry with a team that is dedicated to ensuring you have the best possible experience in dentistry. Our quality treatments include veneers, crowns and bridges, teeth whitening, dental implants, and specialist dental options such as periodontics, prosthodontics and orthodontics. We also offer emergency dental services. To complement our dental practice, we offer a range of non-surgical face lifts and anti-ageing treatments. Most of these come with a free initial consultation giving you a one-stop shop for dental work, a smile makeover and a virtual facelift. 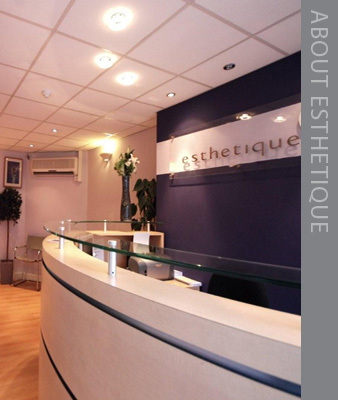 We encourage you to browse around this website to learn more about Esthetique.